Thank you. Good luck on your own blog, too! I’ve been fascinated by the moon since I was a young girl and did a school project on the tides and how they are affected by lunar cycles – the spring and neap tides. I always wondered whether the fact that we are composed so much of water made us suceptible to the same cycles, everything being possible in the imagination. Some certainly continue to observe practices – I am going to a wedding in Ireland on June 4th a date chosen precisely because it is a full moon, so I wonder if that is an auspicious date to choose or not? I, too, have always been fascinated by the full moon. It seems logical to say that if the ocean tides are effected by the moon, humans must be also. However, upon researching this very topic, I found many studies that say this is not true. Many cultures believe that there are significances to the Full Moon and its pull on the earth. Much superstition surrounds the full moon including things that go bump in the night. 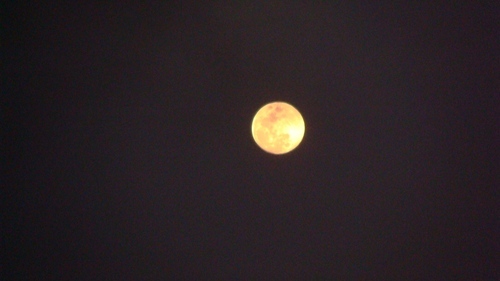 Vampires, werewolves, and witches come to mind when I think of the full moon. Hollywood has done quite a bit to keep these superstitions alive. The wedding couple may have chosen the full moon date because is it often thought to be lucky and good for fertility. Consequently, if the wedding couple feels good sharing their wedding vows on the day of the full moon, then bless them with all the rays of the silvery light.